Palate: Well balanced, powerful with finesse. An elegant Cognac with a truly satisfying finish. 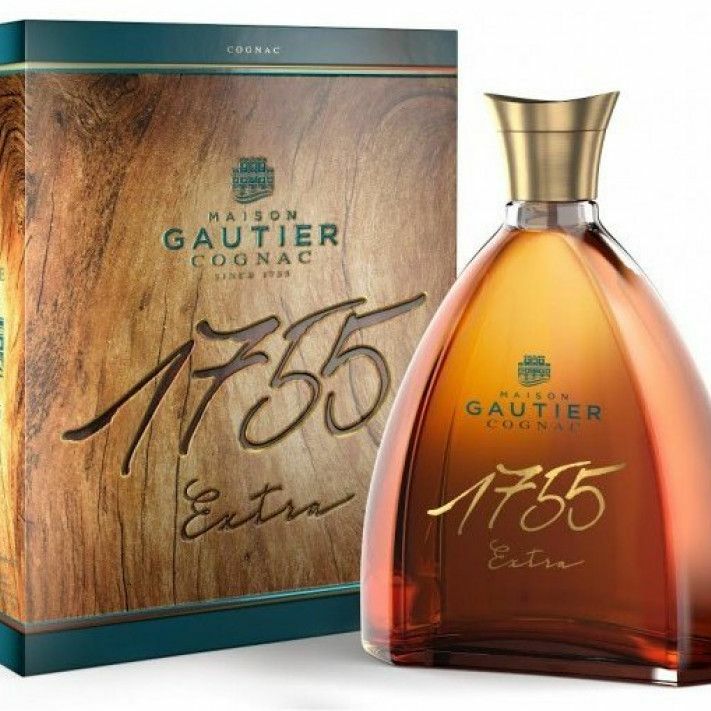 The Gautier Extra 1755 Cognac is a special vintage, named "1755" after the year that Maison Gautier was born, and created in homage to Louis Gautier, the founder of the house. A cognac crafted from old eaux-de-vie, including some from the Paradise Cellar, it's an exceptional and old cognac with an extraordinary complexity of aromas. It's a fitting tribute to the house's 250th anniversary, for which it was created. And it contains some eaux-de-vie from the esteemed Paradise Cellar of Gauter. Beautifully presented in a delightful carafe, it would make a delightful gift for any lover of fine Cognac.